In the early 20th century scientists discovered a clear similarity between our blood plasma and sea water, in their respective compositions and concentrations, our body requires certain Trace elements, Vitamins and Minerals which are vital for our health and well being. All of the aforementioned can be found in marine Algae, which are the main active ingredients in RÍ NA MARA skin and body care range. 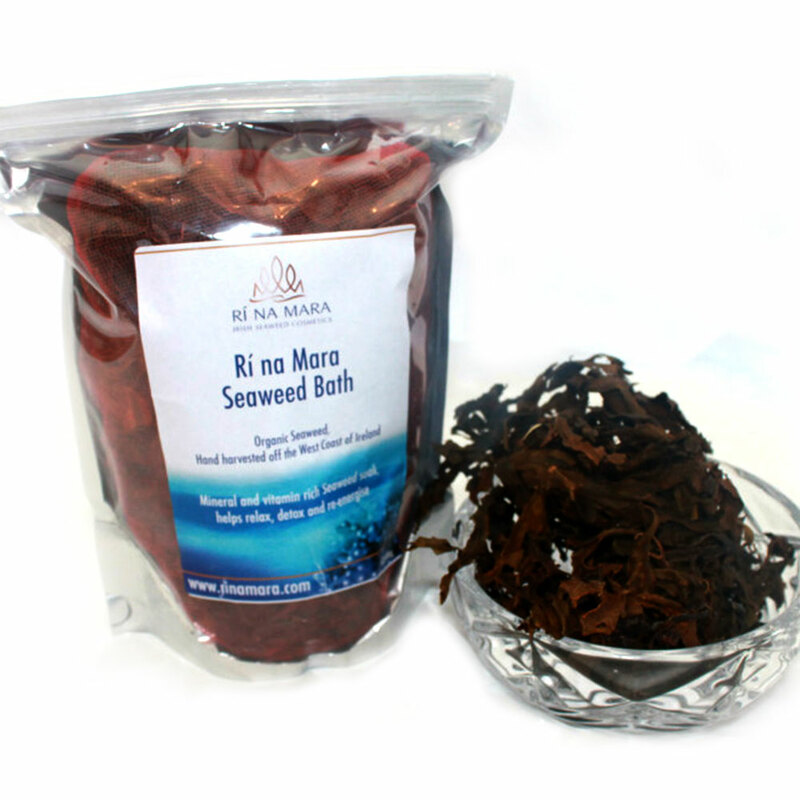 Rí na Mara carefully select a variety of organic seaweed species which are hand harvested by local cutters in Connemara using traditional, sustainable harvesting techniques. Cutting only the upper section of seaweed species leaving lower intact to regenerate quickly and ensuring there is no negative impact on the West of Ireland coastline. The Seaweed selected from the pristine, unpolluted waters is then air dried and chopped up. There are a number of different extraction methods which are used for seaweed extraction preparation. Seaweed is added to tanks of purified water, where Rí na Mara use their unique gentle extraction process, meticulously distilled to preserve the therapeutic and revitalising properties of the seaweed. 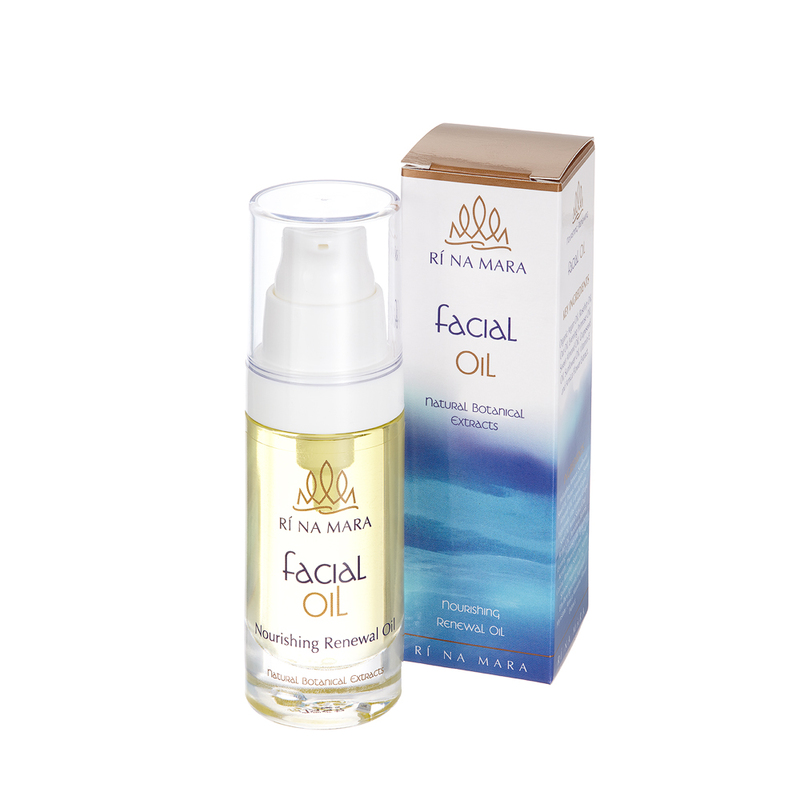 The beneficial Algae extracts are complemented with pure botanical extracts to form the basis of Rí na Mara active beauty range. 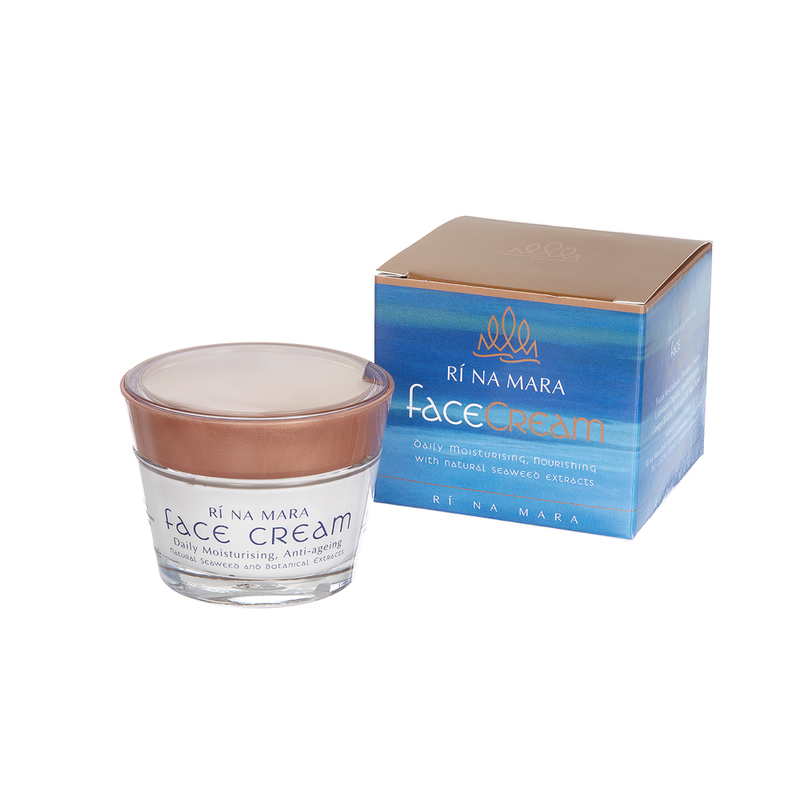 Rí na Mara beauty products harness the power of the sea and its life-enhancing benefits. 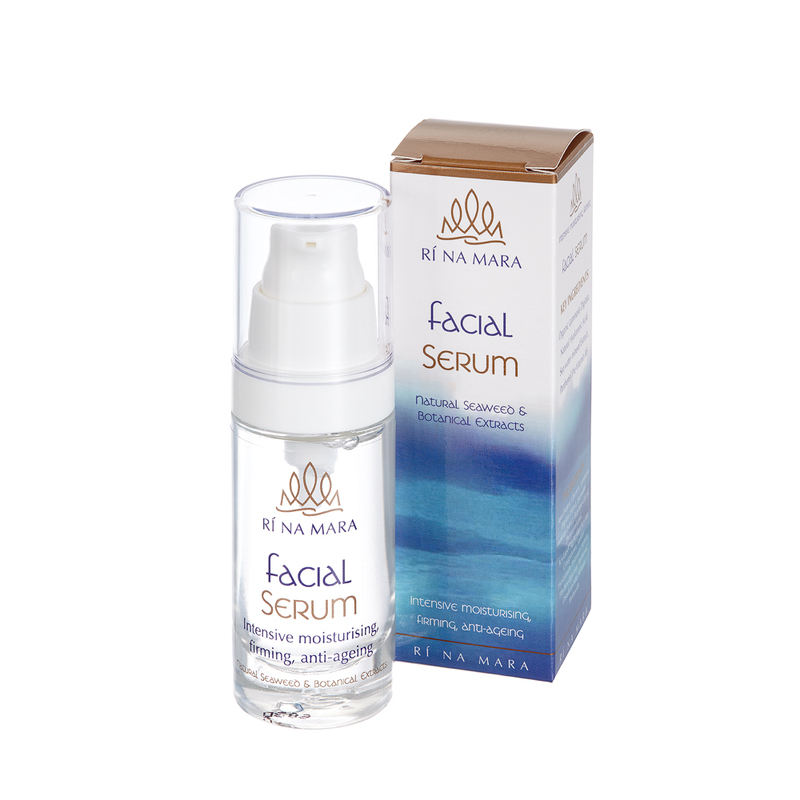 The Vitamins A, B, C, D, E, K, Amino Acids, Antioxidants, rich collection of minerals, calcium, iron, iodine and phosphorus easily absorbed from seaweed will enhance the skins physiological functioning, repair and hydrate, replenish elasticity and help treat skin conditions including Eczema, Psoriasis and Acne.